Sometimes cities outgrow their limits. Other times, they expand to accomplish specific economic development goals. Sometimes cities outgrow their limits. Other times, they expand to accomplish specific economic development goals. Whatever the reason, cities across the country have recently approved or are in the process of approving expansions of their borders through annexation. On Jan. 2, the Tahlequah, Okla., City Council approved the annexation of 50 acres, which will be lumped into the city’s corporate limits, the Tahlequah Daily Press reports. One property owner has already expressed interest in voluntarily annexing into the city, and no one made any comments during the public hearing before the vote. For the tiny town of Deadwood, S.D. (pop. 1,264), an annexation petition could expand the town by as many people as reside there — by 1,264 acres, the Black Hills Pioneer reports. The annexation, which would acquire land from Frawley Ranches, would be devoted towards affordable housing and 60 acres of land devoted to sports and other recreation activities. But the petition still must go through city, county and state approval processes before annexation is confirmed. 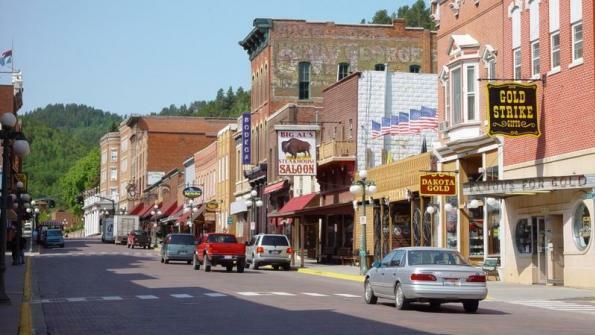 “I’m really excited about it because it would give Deadwood a flat location where we could build apartments and homes, and I’m also excited about the potential for a sports complex, which would be a great addition to the Deadwood-Lead area,” Deadwood Mayor Chuck Turbiville said, per the Pioneer. During its shortest meeting of the year (only 21 minutes long), the Edgerton, Kan., City Council approved the annexation of 575 acres into their city (pop. 1,756), The Gardner News reports. The 17 properties on that tract of land agreed to the annexation. Additionally, the Kubota Tractor Corporation announced its intention to buy 203 acres near its current facility in Edgerton to build its North American Distribution Center. However, some cities like Memphis, Tenn., wish to decrease the size of their city through de-annexation. On Jan. 9, Memphis Mayor Jim Strickland and two councilmembers sponsored a resolution to de-annexing two areas of the city, the Memphis Business Journal reports. The resolution passed in a city committee. The residents of the area proposed for de-annexation would be absorbed into unincorporated Shelby County, Tenn., the Appeal reports. Memphis Councilman Frank Colvett said the move is fiscally logical for the city, Memphis TV station WREG reports. One area contains 172 citizens but is difficult to serve, and Memphis spends more there than it brings in, WREG reports. The other area lies on a flood plain, is unpopulated and makes “our city 13 square miles bigger than it probably needs to be,” Memphis Chief Operations Officer Doug McGowan said, per the Commercial Appeal.